As you can see I am back and with a new theme. I thought a fresh start deserved a fresh theme. This means my old theme lasted a grand total of two posts. Maybe that is a record in the blogging hall of fame. I pretty much built this theme myself using bloggers html editing option. We will see how long it lasts. Note if you are viewing this blog on mobile you will not see the new theme. 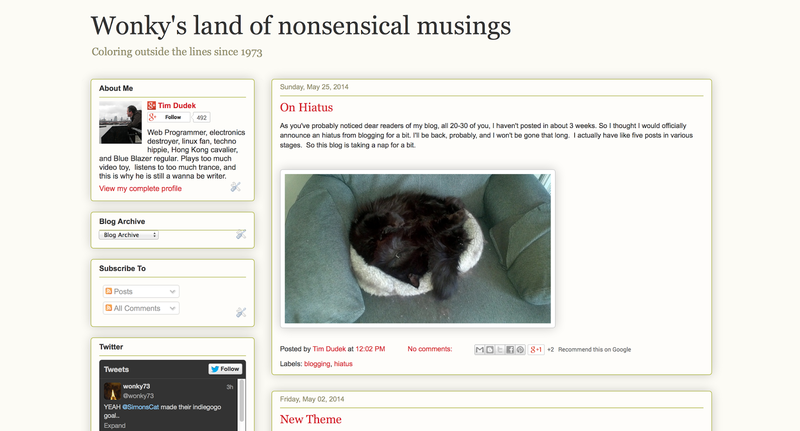 I pushed the blogger button that is supposed to make your new theme work for mobile, and nothing happened. So if you want to see the new theme please use a regular browser.